Awarded like a badge of honour, most SMEs and large companies have lists of “Preferred Suppliers” for their procured services. These are effectively terms of business signed with suppliers ahead of any work being awarded. To make it onto the list a supplier must meet certain commercial and contractual obligations. The lists are designed to ensure that employees looking to procure a service from an external provider can go to a list of pre-approved suppliers, safe in the knowledge that a contract is already in place that governs and protects the company, the service levels it will receive, the commercial arrangements, and occasionally the cultural fit between the supplier and procurer. All good things which seem to make commercial sense. But when it comes to recruitment, working with preferred supplier lists (PSLs) will often restrict the pool of candidates you can access. And as companies grapple with attempts to improve their Diversity & Inclusion and address their Gender Pay Gap, how do employers ensure they aren’t focused on commercial concerns at one end of the business, only to tie up money and resource addressing directly correlated issues at another end. It is the bane of most Operations or HR Managers’ lives to have an over-enthusiastic hiring manager at their desk, excitedly waving the CV of a candidate who appears to meet every bullet point on the extensive job description but the CV has been sent speculatively by a recruiter touting for business. As a former over-enthusiastic hiring manager turned recruiter I get it. I really do. There’s risk involved, and the recruitment industry has its fair share of reputation issues that can’t all be fictional. Most recruiters work on a “race to place” and are only paid when the candidate gets the job. So when they get an outstanding candidate, some will cast the CV far and wide and hope it lands on the right desk at the right time, just as the hiring manager has received their headcount approval. But without a contract in place or terms of business this can put everyone in very murky waters. It’s hard when the HR or Operations Manager has to tell a hiring manager who’s professionally smitten with a candidate that they can’t hire or even interview that candidate because the recruiter in the middle won’t agree to terms of business. A bit like putting your flagship product on display, enticing customers in to try it out and only once they’ve realised they can’t live without it, telling them what it costs. Enter the Preferred Supplier List. The hiring manager is free to review CVs from recruiters on the list. But the problem with the preferred supplier list is hiring managers fish in a very small talent pool. And those recruiters stay on the list because they send the kind of candidates hiring managers like. Those recruiters therefore continue to advertise on the sites they’ve always used, because that seems to be the easiest way to attract the candidates their clients hire - and that's how we get paid. The client is happy, but only ever sees the same kind of candidates and therefore keeps hiring the same kind of people. The client goes back every time to the same couple of recruiters, the list doesn't change and in fact, when new recruiters approach the company (as we sometimes do) we’re often told they’re happy with the recruiters they have and are not looking to review the list right now. The whole thing is stuck on play, pause, rewind. This is all fine during times when the status quo doesn’t need to change. But how many hiring managers ever mention their company’s Diversity agenda when briefing a recruiter on a new role? Do you know where your recruiter finds their candidates? As a hiring manager, do you ever consider why you largely get CVs from candidates who are able to work 9-5, and commute five days a week to an office, yet your company policy on flexible working can accommodate so many more arrangements? How many recruiters even know what their clients’ gender pay gap looks like, or have asked whether they’d like to see more CVs from senior women – who incidentally might possibly need flexible work and therefore may not be on traditional jobsites but instead registered and looking on sites like Timewise or in Facebook groups like Careering Into Motherhood? Because doing these two simple things could speed up the pace of change and help to close the gender pay gap. 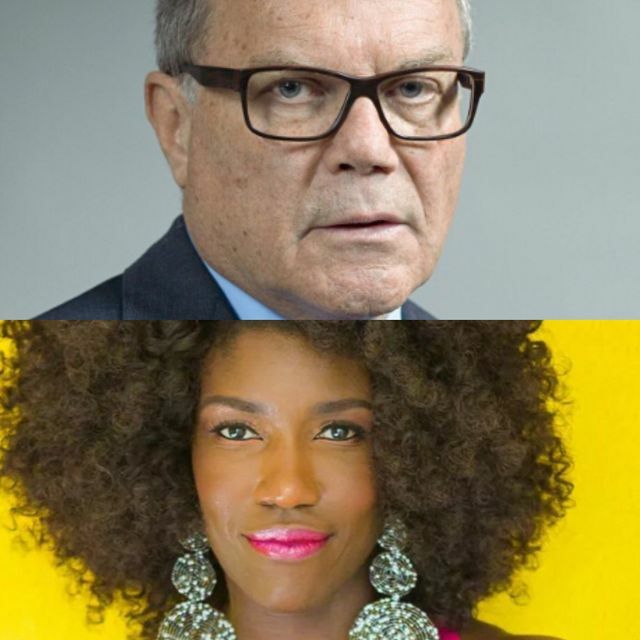 From the Gender Pay Gap to Diversity & Inclusion, the arrival of Bozoma Saint John at Uber to the departure of Martin Sorrell, businesses around the world appear to be running the biggest change programme ever seen in an attempt build businesses that look like the world their customers inhabit. Because this is the era for businesses to be creative, regardless of sector. Recruiters should be asking clients about their gender pay gap, and taking action to help them close it. "The UK is one of the first countries in the world to introduce Gender Pay Gap....and publish it on a government website." - Have you spotted #GenderPayGap in your workplace?